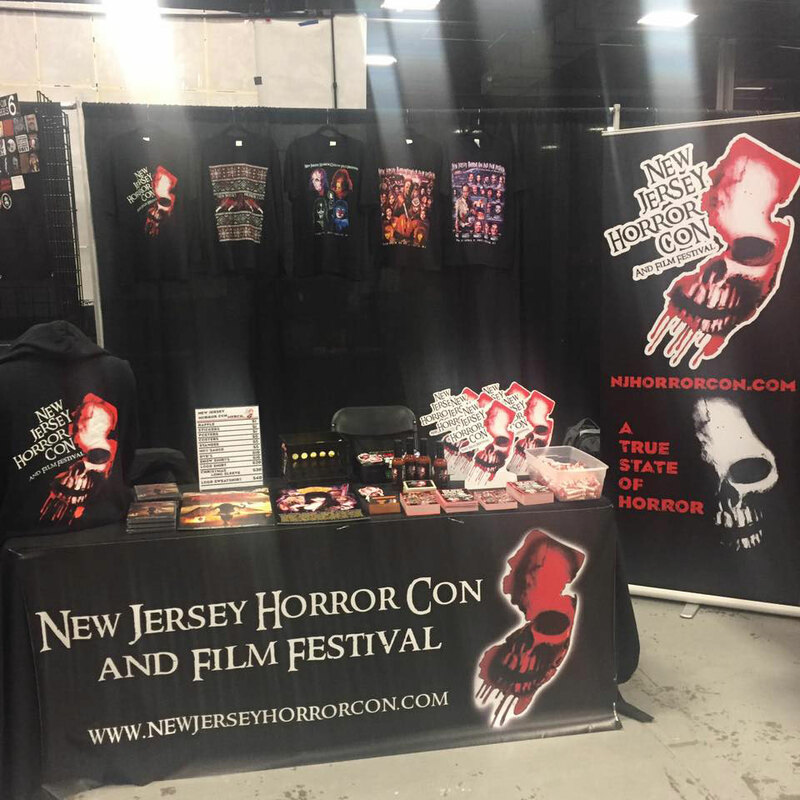 We’re gearing up for the NJ Horror Con and Film Festival, which gives fans the chance to see amazing indie films while mingling with big names in Horror. For the very first time, Morbidly Beautiful Horror will be at The NJ Horror Con and Film Festival to provide coverage for the event. I’m thrilled that I will be on the convention floor all next weekend covering independent horror films, along with films like the cult hit TERRIFIER and the Troma release SHAKESPEARE’S SHITSTORM, with Lloyd Kaufman himself in attendance! Additionally, the convention will be filled with celebrities taking photos with fans and signing autographs. Some of the announced guests are Zach Galligan and Frances Lee McCain for a GREMLINS reunion; director Mick Garris who will be doing two panels and sticking around for photos and autograph signings after; a PET SEMATARY reunion with stars Brad Greenquist, Miko Hughes, Dale Midkiff, and Denise Crosby; the legendary Adrienne Barbeau; Mark Patton and Kim Myers for an A NIGHTMARE ON ELM STREET 2 reunion; Linnea Quigley and Amelia Kinkade for a NIGHT OF THE DEMONS reunion and many more! Created by filmmaker/producer Ryan Scott Weber and AMC’s Comic Book Men producer/pop culturist Rob Bruce, The NJ Horror Con and Film Festival is both an industry insider’s networking event and a place where fans of the horror genre can get together, meet some of their favorite genre talents, and spend a weekend celebrating all things horror. Weber had the idea for the event many years ago after experiencing other Horror Cons and Film Festivals. He wanted to put his own spin on these genre celebrations, and he asked Rob Bruce to join him on his journey and add his years of experience to the event. The New Jersey Horror Con and Film Festival team is made up of professionals in the Horror field and past convention creators. “We want to create a unique experience for everyone who walks through the door,” says Weber says. 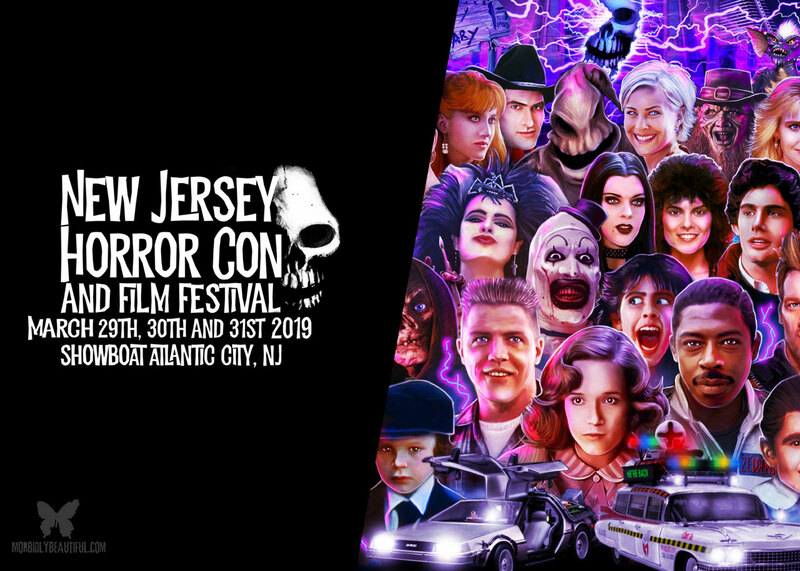 It’s going to be a ‘True State of Horror’ at the New Jersey Horror Con and Film Festival! 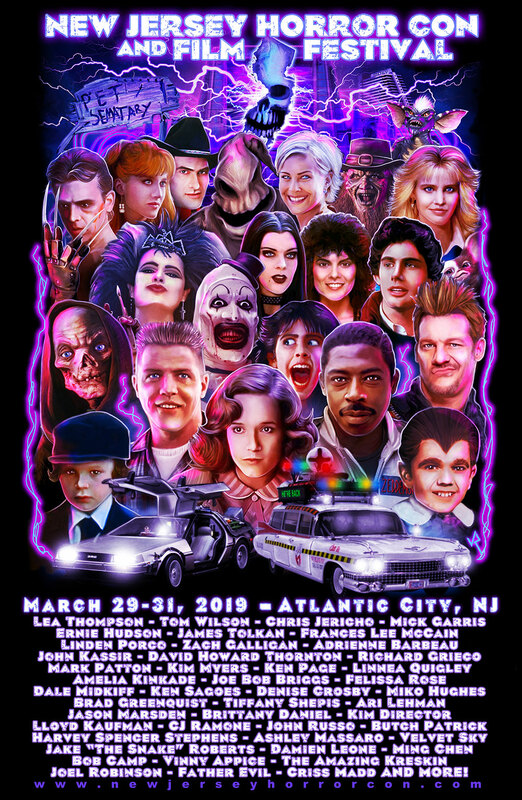 The 2019 edition of The NJ Horror Con and Film Festival is being held at the Showboat Casino and Hotel in Atlantic City, NJ from March 29th to March 31st. For more information about the convention and hotel, go to www.newjerseyhorrorcon.com and follow NJ Horror Con and Film Festival on their Facebook page at www.facebook.com/njhorrorcon to stay up to date on breaking announcements.